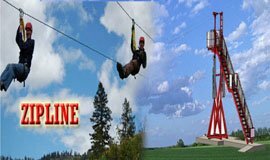 This new thrilling adventure activity is opened for public first time in the world walking upon a 360 ft. long single wire rope at the height of 120 ft. free hand gives you a new thrill and feeling of Dare Devils . You just attached on supporting wire rope with the help of a harness and then walking on air upon a single wire rope without any hand support . Don't worry about your balance , this is a technique used by us you can not fall down at any case. so just for do sky walk and feel like walking on sky at 120 ft high. 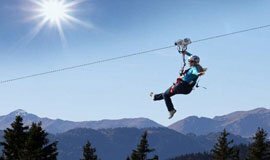 Experience something different and unusual from this adventurous sport and conquer your fears. Have fun and thrill by climbing a rock, which is set at about 70 feet to 85 feet height and climb up for a distance of 1 km. 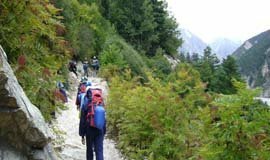 Be a part of this thrilling activity and dare to challenge with your fellow participants and explore the steep rocky cliffs. 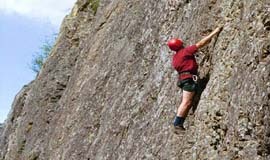 The professional and experienced climber will help you with the basic techniques of climbing. 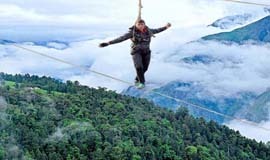 You will be tied to a safe harness, which is attached to an immovable object with the help of a rope. With the help of hands and feet grip, you can climb up to the point where you are intended to go and experience a mesmerizing view from the top of the mountain. Rappelling is a good way to get your adrenaline pumping. Nothing beats the excitement of descending across a slope such as a mountain or waterfall, with the help of a rope. 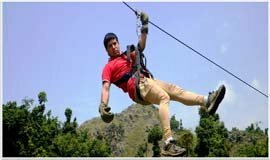 Rappelling is one of the famous adventure sports that is a must-try for anyone who has an affinity for thrill and adventure. Not only does it give you a strong confidence boost, it also helps you focus your mind and body, thereby improving your overall concentration skills. It is also a good test of your endurance. Take a break from the bustle of the busy city and spend a day among nature as you camp among the natural beauty. 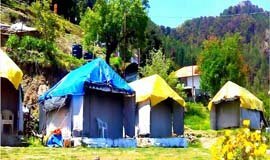 Enjoy a dynamic camping session for 1 day as you spend your time among nature experiencing the scenic beauty.You will be provided with breakfast, lunch and dinner and the veg or non-veg menu will be selected by the tour operator. 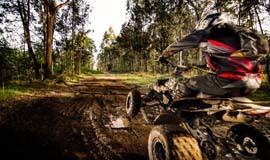 An all-terrain vehicle (ATV) is also known as quad bike, and is an amazing off roader. The spectacular vehicle travels on low-pressure tires, and can travel on any type of uneven and rough terrain. Take part in the super exciting and fun-filled activity, and zoom on the dirt tracks with speed. 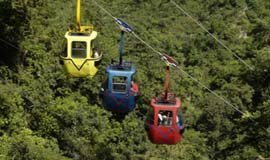 Bring your adventure loving companions and revel in the unlimited gush of thrill and sensation. Enjoy the speeding ride as you ride the 4 wheeled bikes on the uneven and rough terrain. 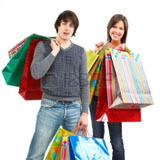 As your safety is foremost concern, all the safety gears will be provided to you at the venue. 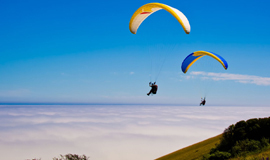 Make your trip to Mussoorie remarkable by participating in short paragliding near Mussoorie Lake. In this activity, you will learn to fly on the sky with a paraglider. An expert instructor will guide you with the lessons of paragliding with whom you will get off the ground. In this 10 minutes ride, you will experience a mesmerizing view. 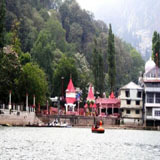 You will see the wonderful valley of Myssoorie, the beautiful Himalayans, greeneries and many more. One of the best ways of exploring this town is on a bicycle. Imagine riding through the rustic, laid-back streets on a relaxing bicycle. 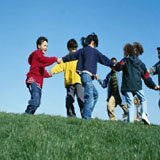 Won�t this bring back the happy memories of your childhood? 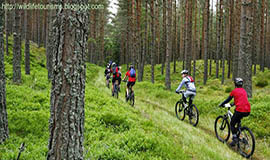 This eco-friendly escapade is possible by availing the bicycles for 2 hours. Avail this offer and hire these street riders, to give yourself a memorable experience here. 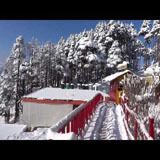 Located at only 18 km from Mussoorie and 6 km before Dhanaulti, at "BURANSKHANDA" on Mussoorie - Dhanaulti road . 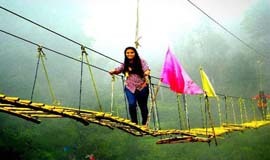 Buranskhanda is a perfect outdoor adventure destination between Mussoorie and Dhanaulti . 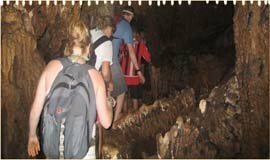 Here You can find many Hidden Caves of Pandava�s Surrounded by beautiful alpine meadows and trees of deodar , pine , wall nut , apricot ,oak and apple having spectacular and breathtaking views of Himalayan peaks rewarded as the best location for views of Himalayas. You will be surprised to know that Mussoorie hosts India�s largest roller skating rink. If you are good at balancing, do try your hands at skating here. 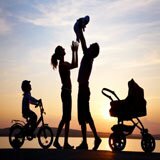 Give your feet wheels, the body a swirl and you�ll feel the adrenaline rush giving you a pleasant high. To experience such a pleasure, there are many skating rinks in Mussoorie. Jaypee Resort�s skating rink, The Rink in Kulri Bazaar and Disco Skating Rink behind Tourist Office are the popular ones. Be careful when you take your kids for skating as it can be a little difficult to get it in the first time. Don�t worry about the rest, the organisers will provide you with enough safety measure. All you need to do is find out some time, the rest will be taken care of. 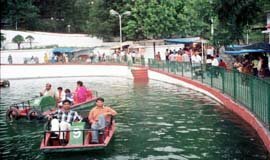 Boating at Company Garden is one of the best things to do in Mussoorie. The garden is landscaped beautifully and the artificial lake runs through lush green surroundings. With a cascading fountain and crystal clear waters, the lake is truly beautiful. Boating here is a fun experience. From midway along the Mall, a cable car runs up to Gun Hill (2530m), which, on a clear day, has views of several peaks, including Bandarpunch. A steep path also winds up to the viewpoint. The most popular time to go up is an hour or so before sunset. 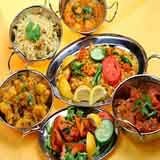 There�s a minicarnival atmosphere in season with kids� rides, food stalls, magic shops and honeymooners having their photos taken dressed up in Garhwali costumes.